The purpose of a marine radar is to prevent the risk of colliding with other boats or objects in the ocean. The stronger the radar, the better it will perform and identify even the smallest of objects such as inflatable dinghies to buoys. The best marine radar is the Furuno DRS4D-NXT Solid-State Doppler Radar, which uses the latest marine radar technology and features the desirable Doppler. Garmin, Furno, Lowrance and Raymarine are the major brands that are in the marine radar industry and they all offer a wide variety of systems to suit certain boats. The quality of the radar is crucial and will help locate all boats or objects. 7.9 Multi-function system or a stand-alone radar? Marine radar systems are expensive devices and come with a range of unique features from bird and weather cell detection to remote WiFi operations, which can provide displays on GPS fishfinders and and marine chartplotters. Dopler functionality is found on many of the high end marine radars and simply changes the color of objects found to indicate their threat level. For example, if the object is highlight in green, this would be a small risk and is most probably a stationary boat. However, objects that are moving towards you will be highlighted in red to indicate a warning and bring it to your attention. Radar technology has become a requirement from the majority of marine navigation systems and is vital you choose the best. 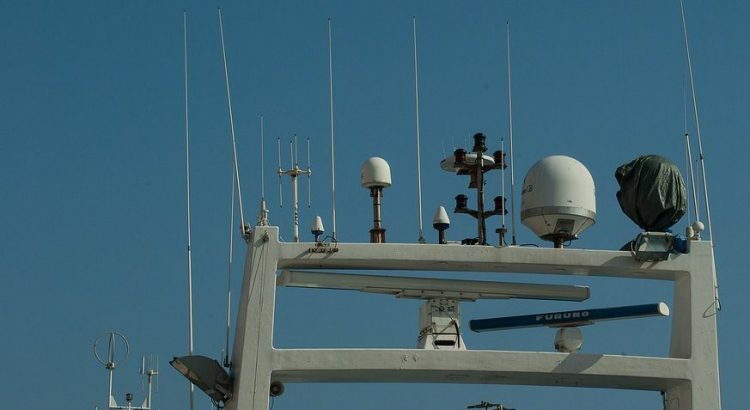 Below is a list of the best marine radars that have a range of features and connect to the majority of GPS marine devices. Furuno is a brand that only deal with marine navigation devices and its fairly niche in terms of its products. This Furuno marine radar is one of their latest creations and includes a Solid-State Doppler Radar and comes with a 15 meter cable. Both the Target Analyzer and Fast Target Tracking functionality make use of the impressive Doppler and exclusive RezBoost technology. The performance comes from the compact 24″ radome, which acts as an open array radar. In short, the Target Analyzer automatically changes the color of objects for an increase in safety. The Fast Tracking technology improves the speed of the vectors appearing. Both these are premium features and worth paying the extra for. Overall, it is the best marine radar you can buy but it is the most expensive too. However, if you are planning to frequently use the device along with other GPS devices, then its a worthwhile investment. 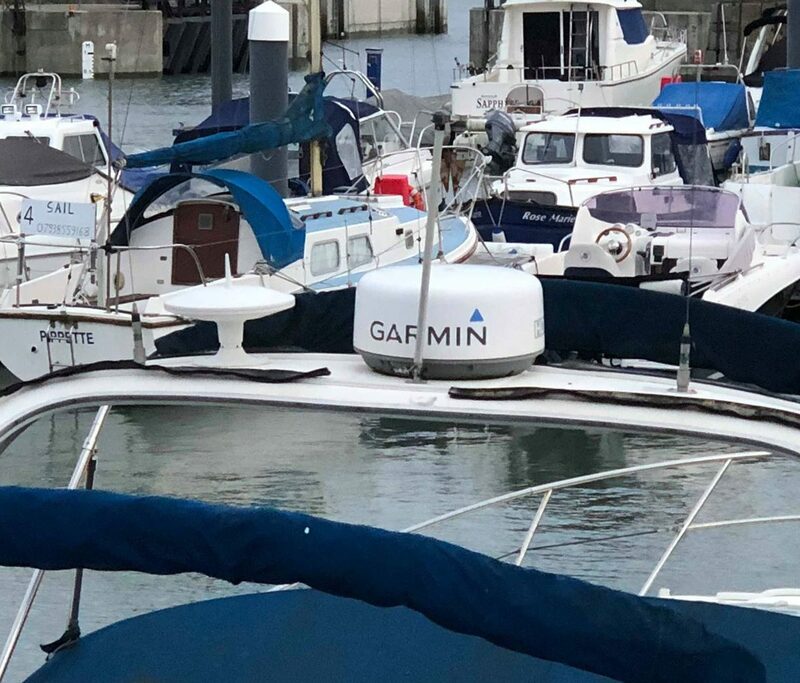 Garmin is a brand that needs no introduction and they produce a range of marine radar systems suitable for a range of budgets. The GMR 18HD+ is one of their premium models and is ideal for boats with limited room to mount a marine radar. The Garmin GMR 18HD+ provides a range of functionality that is unique to only this marine radar. Such functionality includes the dynamic auto gain to the automatic sea filter, which improves the performance of marine radar systems massively. Overall, it is the best marine radar for the money and the small construction (50.8 cm diameter, 24.8 cm high) makes it great for installing in small spaces. Lowrance is another marine brand that focuses upon GPS devices for boats and provide a range of marine radar systems. The 000-10418-001 package uses solid-state technology for instant on-screen information without the need to warm-up. Overall, the Lowrance 3G broadband marine radar is an efficient system and does not act as a radiation hazard. It is also reasonably priced too with many people preferring the 3G broadband option too. There is the option for a 4G alternative but you will have to pay far more and there isn’t that much of a difference in performance as you would expect for the added cost. Short range detection is an issue that many marine radar systems suffer from but the Raymarine Quantum radar has one of the best short range detection technologies that provide enhanced target detail at as little as 18 feet range. 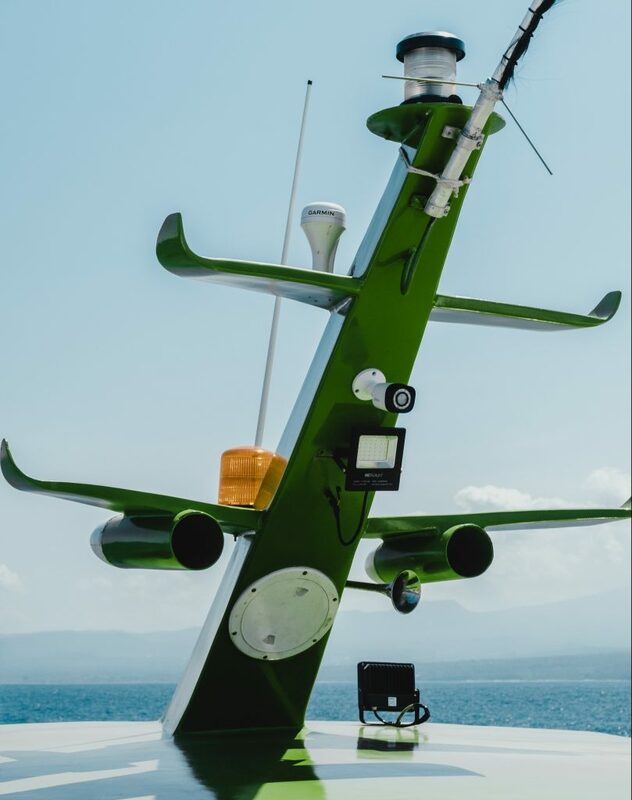 In terms of the installation of this marine radar, it is fairly straight forward thanks to the integrated WiFi, thin cabling and the lightweight design. 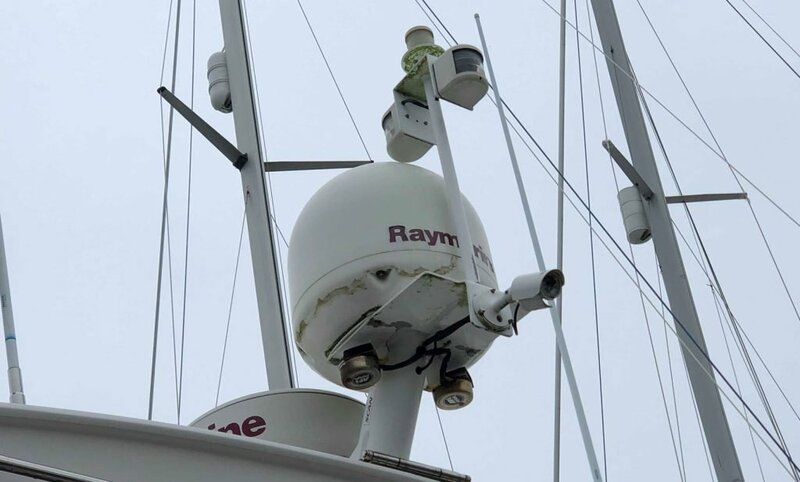 If you have previous used a Raymarine device, the mounting bolt pattern will be the exact same for a simple upgrade too without the need of messing around with new hardware. The Furuno DRS4W is the cheapest marine radar on the market that performs as well as alternatives that are twice the price. The 1st watch model is wireless and you can use it on the go with the likes of the downloadable application for iOS devices. The wireless connection means installation is far easier too with less cables and more flexibility. Overall, it is the best cheap marine radar system that has the backing of the Furuno brand and with the WiFi connectivity, its a highly desirable system for many. Despite being one of the essential components in a boat’s electronic suite, a majority of boat owners barely understand how to use it effectively. Using a marine radar helps you see through the fog and be able to see great distances thereby eliminating the stress that comes about due to reduced visibility. Being able to navigate through the waters and seeing all the objects is the main purpose of a marine radar and can make a huge difference. Deciding on the best radar technology for your boat is a hard decision and the factors you should consider before purchasing one include your budget, your needs and which radar best suites your boat. Our buyers guide below should help you with your buying decision. If you rarely go fishing and you do not leave the dock very early in the morning or stay very late into the night, a marine radar system with essential features is all you need, with additional multi-functioning system an added advantage. Having this in place will provide you with optimal performance and most of the entry-level radars today will able to navigate through the dark or sporadic surprise fog. However, if you often go fishing at night and still go to seek fish despite the high water, you will need a radar with more features and capacity to guide you. Since you will often get to use your radar, you will slowly get better at operating it and better experience at its operation. The size of the radar and its weight may influence your decision on which radar to purchase and always make sure you test that it fits before you start sailing. Open-arrays may not be able to fit in some places where enclosed domes perfectly fit. Additionally, the weight of a radar antenna is instrumental since it can be too heavy for a specific mast to stand whereas smaller radars can be placed at the spot without causing any issue. Furthermore, before deciding the best mounting position, you should contemplate if you can run the reasonably thick antenna cable with ease to and from the spot and not leaving it bare. Adding a radar to an existing MFD system necessitates you to ensure that there is enough mounting space available to place the unit’s black-box drain. The radar must be kept in a waterproof, well-ventilated and spacious location thus enabling you to access it in case you need it worked on quickly. Finally, when positioning the radar, you should always acknowledge its closeness to the occupants in the boat, with their safety made a priority. If your primary concern is safe navigation through infrequent fog or when returning or leaving the port in the dark, an inexpensive radar is ideal for you and will satisfy all your desires. However, if you intend to go fishing at night in waters that have several boats, you will need a radar that can detect their position to yours to avoid collisions. Thereby, if this is the case, features that improve these proficiencies should be made a priority. Moreover, if you are a severe boater, you are going to need a powerful radar that can cover a broader range and detect specific targets. It is one of the most critical questions you must address when choosing which radar suits your needs. Purchasing a detector is a significant investment, and budget restrictions frequently end up being an issue for most people. Nevertheless, it is advisable to buy a radar that may be expensive and comes with all the features you need avoiding a situation you will need to buy another detector after disappointment with the previous radar’s performance. Thus, you will avoid purchasing a detector twice which can be an unwise business choice. Technology is continuously and rapidly changing and thus when deciding on which marine radar to buy, and you should always go for one that is not obsolete. At the moment, detectors come with high-speed data processors, broadband and HD digital signal processors and algorithms. With this high definition radars, you can experience clearer images of objects, a reduction in clutter and greater target separation as a result of improved software. It is especially helpful in extremely foggy conditions as you can now confidently operate the boat knowing that with the improved performance chances of an accident are substantially minimized. The single most vital element is defining how far your radar will be able to see the antenna’s height. Usually, your radar’s range is limited to the earth’s curvature and consequently the height of the target, and that of the radar antenna will determine whether or not the radar can see over the curve. However, you should not spend a lot of money on a long-distance radar if your boat has does not have a tall mast since its height is the most significant limiting factor. The more powerful a radar becomes, the farther the distance you can see using it. The most potent detectors produce about 25 kilowatts of power, mid-range detectors having between four and twelve kilowatts of power and finally, relatively weak radars producing about two kilowatts of power. The radar pulses usually broadcast at a range of between one degree and six degrees and the narrower the beam width, the more fixated the vibrations of the radar. Subsequently, this results in a better differentiation of targets and more precise bearings, with bigger and more powerful detectors producing narrower beam width. Nevertheless, a very narrow beam width restricts close-quarters radar visibility since the minimum beam width dictates the minimum target width. Multi-function system or a stand-alone radar? To get color from your boat’s radar technology, the addition of a radar with multi-function navigation systems is an inexpensive and practical technique. However, this has its advantages and disadvantages thus multi-function route may not be an ideal option for some boaters. The use of MFD radar technology helps you save a lot of space and at the same time providing you with a broad spectrum of radar abilities. It is also an excellent choice if it is crucial for you to have the radar covering your electronic charts. Nevertheless, the operation of the radar’s features usually is less perceptive in comparison to controls of a dedicated detector and in case the MFD collapses, you lose everything including your radar. If you often use your boat and regularly uses the radar features with a preference to dedicated displays, a stand-alone radar is the best option to choose. 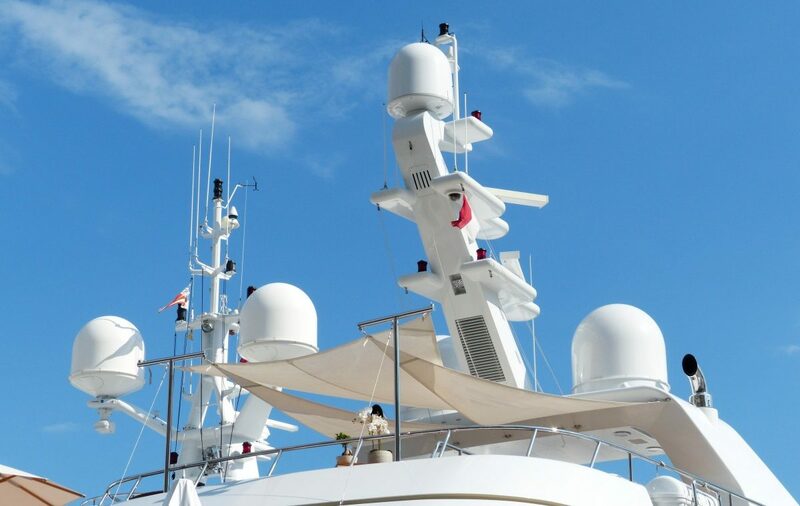 Marine radar systems have improved massively over the last few years with the likes of WiFi connectivity, smartphone applications and improved Dopplers. This has made navigating your boat far easier and you can do so with confidence when using one of the recommendations within this article. The quality of the radar you choose needs to meet high standards otherwise you may find it wont pick up all boats and objects. Solid state technology is found on the majority of high end marine radars and ensures that there is no warm up time required and you can have instant feedback from the marine radar. Sticking with the reputable brands with years of experience and various radars to suit tight budgets is highly recommended. They are an expensive device but one that is used to provide data to a range of other marine GPS devices, so its critical that you choose the best possible example of one. I appreciate your comment about a dedicated radar verses a multi-function radar/plotter. We run 3 tour boats in our grizzly bear touring business, and opted years ago to having a separate radar and plotter, with the same brand and model number on each boat (ease of operators familiar with radar) and a spare radar in the tool shed. Our problem comes with the lease boats, which often have a multi function radar/plotter: when it goes down, the boat is left following another boat in the fog.